Productivity is a crucial part of a successful business. The more productive workers are, the more the bottom line benefits. However, since many employees are crammed into small offices with poor lighting, cheap furniture, and inconsiderate coworkers, productivity suffers in many cases. Below are several tips, both psychological and physical, to help small business owners increase productivity. Workers have a variety of environmental complaints, but indoor temperatures are one of the most common. Everyone has unique biology, and there will always be a few workers who are uncomfortable no matter the setting on the thermostat. When evaluating an office space, ask the current owner or landlord about the building’s HVAC system. Things that include vent placement, thermostat location, and temperature control capabilities. If the office is already established and employees are complaining about the temperature, supervisors should consider installing heat-blocking curtains or shades to mitigate rising temps. Alternatively, bosses can rearrange employees’ workspaces so they’re not in too-hot or too-cold spots. If possible, offices should have natural lighting. Fluorescent lighting isn’t healthy, especially when sitting under it for eight hours per day. New types of lighting options mimic natural lighting. Employees should, where practical, have the option to light their cubicles, offices, or workspaces with soothing indirect lighting. In most places, employees spend a great deal of time sitting at desks and staring at computer screens. Ensuring that chairs, desks, and computer workstations are designed with comfort in mind can help keep workers healthy, happy, and productive. Poorly designed furniture can lead to more worker’s compensation claims, and other health issues can also affect productivity. While the mid-90s saw a significant increase in the prevalence of open-plan offices, in efforts to increase collaboration and cooperation, recent research has proven that open offices are counterproductive in many cases. 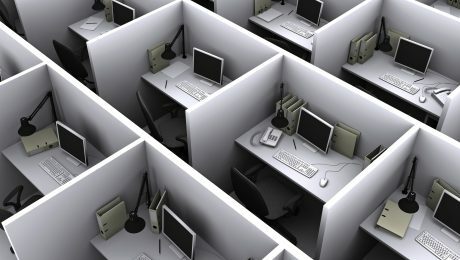 Based on the nature of the office space, it may not be practical to provide every employee with a separate room. However, what’s important is to have areas and workspaces that allow employees enough privacy to focus. Dedicated work areas cut down on distractions, no matter what they may be. As a small- to medium-sized business owner, it’s possible for one to find themselves outgrowing their office spaces rather quickly. Cramped quarters can lead to messes around the office, with extra supplies and equipment cluttering up common areas. In some instances, employees may even have to share their workspaces with all this extra stuff! Increase employee comfort and productivity by minimizing clutter where possible. If it’s necessary, consider renting a storage unit until the move is complete or the owner can afford a larger office. When a business only has a few employees, ensuring that everyone is performing to their full potential will allow the business owner to maximize the investment in those workers’ time, skills, and talents. There are many steps office managers and business owners can take to make employees happier, healthier and more productive. By following these tips, everyone can enjoy a better and more efficient workday. New businesses often start at a kitchen table. After an entrepreneur begins to have success, they have to make a decision about whether to continue to run the business from home or lease a commercial space. Although working from home has some benefits, it also has significant drawbacks. Before renting an office or retail space, it’s important to learn everything there is to know about commercial leases. While a great location is important, the contents of the lease agreement can have a huge impact on the success of a new or expanding business. The most important thing for any new business owner to know is that, unlike residential leases, commercial leases are negotiated agreements between the two parties. They are complex documents and usually have several addendums. Landlords expect their tenants to negotiate, so it’s essential to have a list of requests prior to the first meeting with the property manager. A broker or real estate lawyer may help an entrepreneur negotiate a lease that protects their interests. Leasing Commercial office space can give a new business owner the opportunity to work without distractions. There could potentially be a lot of expenses that accompany this convenience. In addition to the monthly rental fee, a business might also be responsible for utilities, maintenance, and cleaning charges for the common areas of the building. Nearly everything on a commercial lease is negotiable. Business owners who need a more reasonable monthly payment might be able to negotiate by extending the term of their lease with increased rental costs each year. Business owners should wait for the property manager to present a lease agreement rather than present their own initially. This allows the prospective tenant to go over each line of the contract and suggest changes. A real estate lawyer could be very useful at this stage of the process. It’s very important for an entrepreneur to understand and agree to every aspect of the documents prior to Leasing Commercial Space. By insisting on things like the right to renew the lease and the ability to sublet the space and exclusivity, tenants can get a lot of value from their commercial lease. Come sit down with Slaby & Associates and we’ll get you situated in an office that’s just right for you. Commercial property can help diversify a real estate portfolio. Investors who own mostly single-family houses and smaller apartment buildings are always at risk of losing money while units are vacant. Many people rent for the convenience of being able to move after their lease expires. With the term of most residential leases only being one year or less, too many transient tenants can cause a landlord to have to spend a lot of time marketing. Lease terms for commercial property tend to be much longer. Many commercial tenants sign leases for five years or more. A commercial lease could also be structured so the tenant handles most of the maintenance. With long-term tenants and not much work to do to maintain the property, commercial investing seems to be the ideal opportunity for a real estate buyer. However, there are some things anyone interested in getting into this market should know before attempting to buy a piece of property. Banks require a larger down payment than they do for a residential property. Investors should expect to need to have at least 30 percent as a down payment. Commercial real estate is leased based on the usable square footage plus a portion of the rentable square footage. Knowing these figures can help an investor decide whether or not to buy commercial property in Madison, Wisconsin. The income potential in commercial real estate is much higher than with residential property. Investors can expect to earn between 6 and 12 percent per year as opposed to the 1 to 4 percent earnings on a residential property. It isn’t always necessary to have the 30 to 35 percent down payment to buy commercial property. The trick is to find a property owner who is motivated to sell and enter into a master lease agreement with them. This type of arrangement allows an investor to have total control of the property while paying the deed holder an agreed-upon monthly amount. The master lease agreement will state the selling price of the property, and the buyer will have the option to purchase the property for that price within the specified time frame. This poses a significant advantage for savvy investors who are able to boost the value of the property before they finalize the sale. 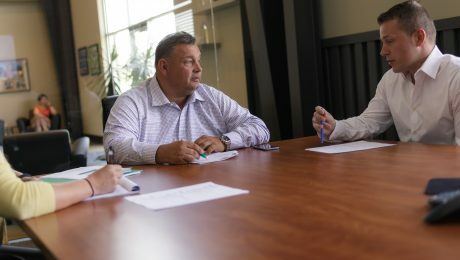 Before investing in commercial real estate, it’s important that potential buyers talk to current tenants and nearby business owners about the state of their businesses. 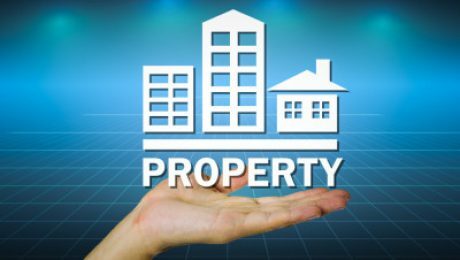 A property might be a bad investment if the turnover in the area is unusually high or if the business owners are seeing losses instead of profits. 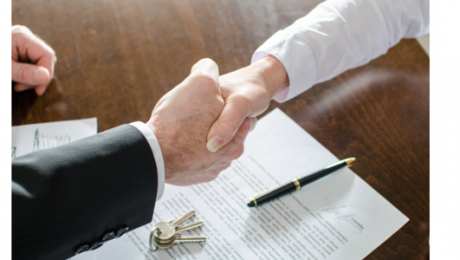 It’s also important to talk to a lawyer who focuses on commercial real estate before entering into any agreements. This due diligence can help a new investor avoid purchasing a property without significant income potential. 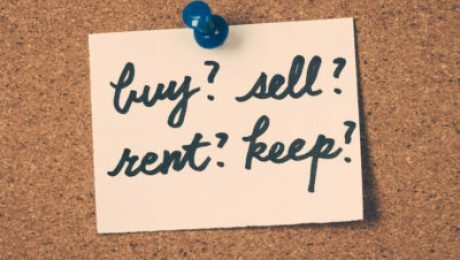 Is Buying or Leasing Commercial Property in Madison, Wisconsin the Better Decision? Business owners always face decisions, and how those decisions are made can, and will, affect the viability of the business. One of the most important decisions is where to locate the business. Every business must attract a specific type of client to generate the profits necessary to stay in business, and selecting a poor location will determine if clients will be willing to visit the site. The next big decision is whether the business building should be purchased or leased. There are a couple of important factors to consider when debating the issue. Is an appropriate building available to purchase? One issue facing business owners is the lack of quality buildings available to purchase in high-demand areas. Many of the existing buildings are investor owned, and those investors are not interested in selling. 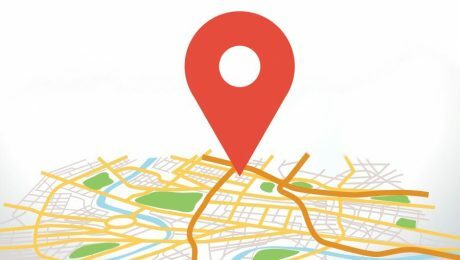 That limits the possibilities for businesses seeking a location in a specific area. In some cases, there is the potential to purchase bare land and construct a new building, but even that can pose difficulties for most business owners. While a business owner may be adept at running their business, they are unlikely to have the experience necessary deal with the construction of a new building. Buying Commercial Property, whether an existing building or land for development, presents problems for buyers. That’s why most business owners elect to work with a commercial property broker when searching for a new site. In many cases, leasing should be considered when searching for a new location. Leasing Commercial Property in the Madison area is a great solution for businesses looking for a site they can move into quickly with a minimum of work required. Leasing is, as a rule, far simpler for businesses not interested in owning and maintaining a building. When leasing a space, business owners typically are not responsible for major repairs. While the terms of a lease are always negotiable, the best management companies make leasing as attractive as possible to keep the spaces occupied. Leasing may also have some attractive tax advantages, so before making any buying versus leasing decisions, it’s always a good idea to discuss the benefits with a tax professional. Commercial Property Madison Wisconsin brokers are also available to discuss potential benefits of buying and leasing. Area brokers also have the knowledge to assist business owners looking for locations that will support a specific type of business. A careful analysis of all options is always recommended, as any business must choose the optimal location to achieve the maximum level of success. There is no ideal solution for everyone, but an experienced business broker can help clients make the best buying or leasing decisions. Is Commercial Real Estate in Madison, WI a Good Investment? How Can the Property be Used? Every property has a highest and best use, so it’s important to determine if a property being considered is being utilized to the best advantage. That means any investor must look at not only a property’s current use but other potential uses as well. If a structure is currently used as office space, but would be better used as a retail space, converting the use should be considered. Of course, zoning and other issues may complicate the issue, but it’s always a good idea to determine if profits could be improved if the use was changed. Even though a property may stand up to a cursory inspection, it’s always a good idea to have a building professionally inspected to determine its condition and what types of improvements or repairs should be anticipated. For example, an outdated electrical system could present an expensive repair issue, especially when a change in use is being considered. Plumbing systems, as well as HVAC systems, should also be evaluated to determine if they are in need of updating or replacing. Are the Anticipated Profits Sufficient to Risk the Investment? Every investor must be concerned with their return on investment. Does the current market make it likely Leasing Commercial Real Estate will generate a sufficient profit not only now but in the future as well? If the area’s values have peaked, the future profit potential must still be strong enough to make the purchase of a given property financially viable. Is redevelopment of the area being considered, or are the property values in the area likely to fall in the future? Commercial Real Estate Madison Wisconsin can be a great investment, but investors must be careful when selecting properties to add to their portfolios. Working with a commercial property investment expert is strongly recommended to minimize risks when making any investment purchase.